why did my acupuncturist tell me to take b-complex? 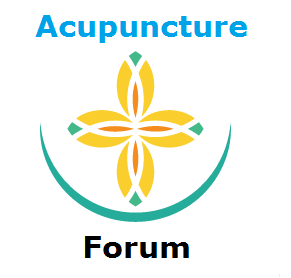 Home › Forum › Discuss and Talk Alternative Medicine › why did my acupuncturist tell me to take b-complex? This topic contains 2 replies, has 3 voices, and was last updated by EricKim 4 months, 2 weeks ago. I went to get treated for anxiety, but after diagnosis and treatment, he told me to take b-complex vitamins. I thought the needles did the job? Needles do the job, and so does your lifestyle. natural healing involves everything that you are doing in your life, that is affecting your current health. So yes, B-vitamin is a good prescription for anyone with stress, anxiety or similar. It is the CHI that does the healing . The Heat. Needles are just tools used in opening up channels that are blocked…Called Circulation. You could do the same thing with your hand, by just striking the area until it turns red. Or… perform some series of medical exercises designed to tear down certain blockages. Say if your arm was in a cast for eight weeks. Then you can use needle to tear open your skin and let it heal after every treatment until your feet are in the anatomically correct proper position for flow of chi. Your DNA genetically knows and will maintain it after treatment for life. The effect will be permanent. This is called a Cure. It is the same thing you do to your Niacin (Vitamin-B) herbs. Which will be not be fully cured when you get them. In this case Vitamin B is like the Chi.